Metro Mold and Design (MMD) is a Rogers, MN based, one stop shop for rapid mold manufacturing, custom plastic injection molding, thermoset plastic molding, extrusion blow molding, and precision CNC machining. With an expanding operation, they contacted SJF in the fall of 2013 to assist in a layout and move into an new shipping warehouse. MMD was at the time occupying and older warehouse with little lighting and low ceiling, and was planning a move to a newer building with a 32′ ceiling. 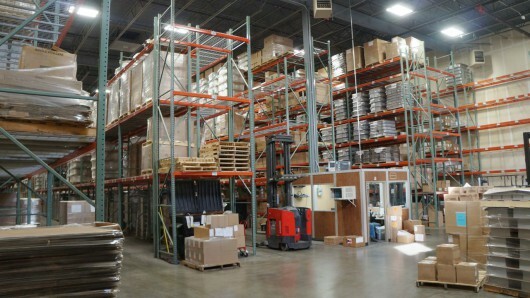 The plan was to install very narrow aisle (VNA) rack to max out warehouse space in the new building. After discussing it with SJF, MMD decided on a different plan altogether. 2014 marks the 2nd consecutive year SJF Material Handling Inc. (SJF.com) based in Winsted, Minnesota has been named to the “Top 100” list published each year by Minnesota Business Magazine. People spend about one-third of their lives at work, so for a company looking to attract top talent, it helps to score high marks in employee satisfaction. Businesses featured in our 100 Best Companies to Work For Awards have done just that. This award salutes Minnesota organizations setting the standard for employee well-being. The 100 Best are chosen using data gathered from an anonymous employee satisfaction survey administered by an independent research group. 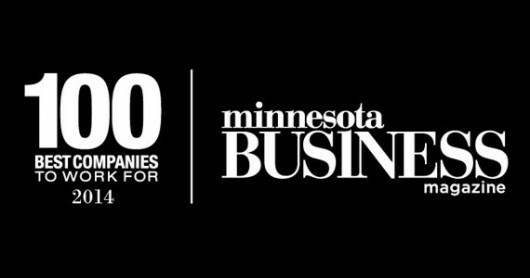 Only the top Minnesotan companies, as judged in areas such as work environment, employee benefits, employee happiness, and leadership, are selected for inclusion in the list. SJF is honored to be named on the 100 Best Companies to Work for in MN for 2013. This list is compiled by Minnesota Business Magazine based out of Minneapolis, MN. [this award salutes] Minnesota organizations setting the standard for employee well-being. The 100 Best are chosen using data gathered from an anonymous employee satisfaction survey administered by an independent research group. 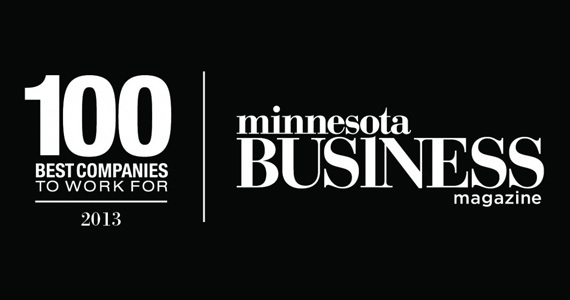 Only the top Minnesotan companies, as judged in areas such as work environment, employee benefits, employee happiness, and leadership, are selected for inclusion in the list. There will be an award ceremony to honor all of the companies on the list on Thursday, June 6th. Thanks, MN Business Magazine and thank you SJF employees for making this possible! Central McGowan, Inc. is a leading distributor of welding and industrial equipment, supplies, abrasives, safety equipment, automation and robotics. Serving industrial, medical, specialty, and beverage companies for over 60 years, Central McGowan maintains a commitment to provide high quality and cost effective solutions to clients in MN and beyond. For several years, Central McGowan has relied on SJF to prioritize efficiency and functionality in their ever evolving warehouse design. The latest project utilized a smaller floor space with higher ceilings. 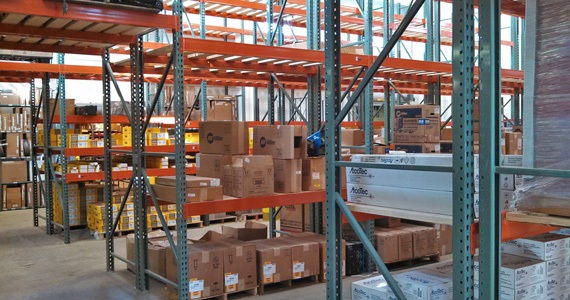 With less floor space, comes the challenge of keeping enough room between racks to operate a forklift while still getting the most storage out of the pallet rack system. SJF delivered uprights that fit the needs as well as assisting in planning a custom layout to optimize the space requirements. SJF also filled the order in a short amount of time by cutting down used beam material to make standard 8 foot beams that looked brand new, which also reduced the price.